Oh, how we love a good ole bacon, lettuce and tomato sandwich. 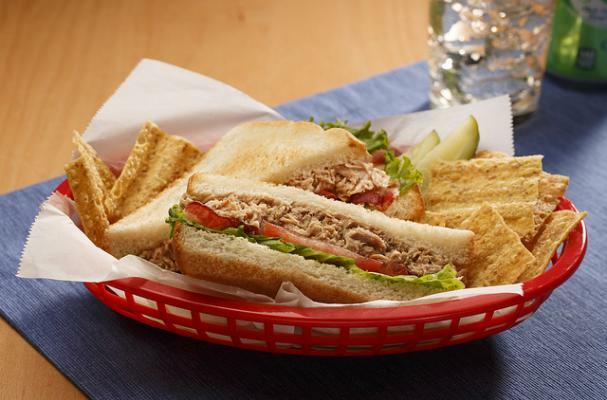 Starkist gilded the lily and added seasoned tuna to this lunchtime favorite. Try it on toasted bread or wrap the whole shebang up in a tortilla. Either way, you're in for one good sandwich! Top ½ of the tortilla or one slice of bread with lettuce, tomato and bacon.